Record cold temperatures couldn’t keep players away. 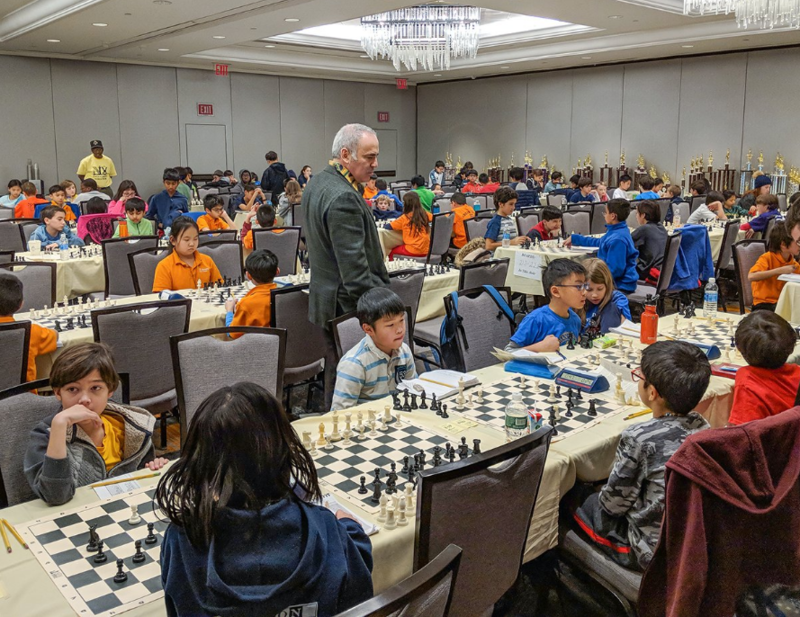 The 2018 Greater New York Championship had a record-shattering attendance, as players from all over the Tri-state area came to the Marriott at Brooklyn Bridge to enjoy a weekend of chess and fun. Even with the tournament was able to attract more than 1500 K-12 players, smashing previous records! 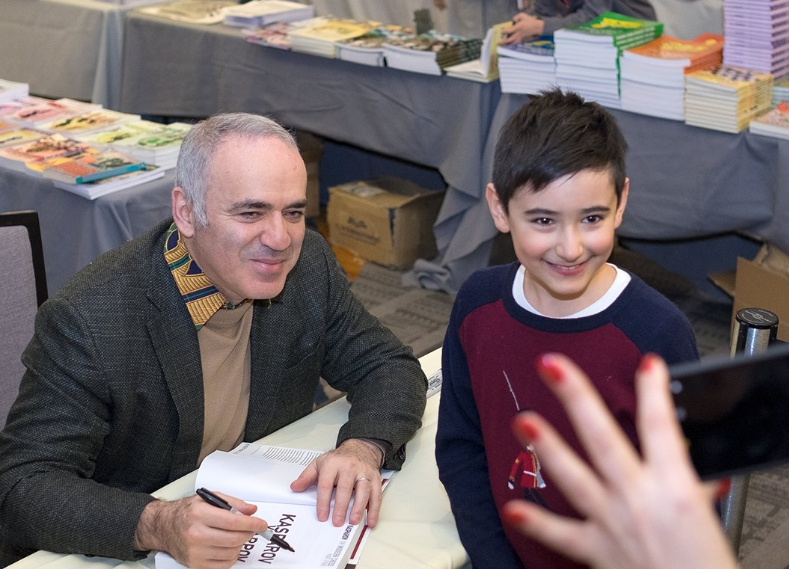 Garry Kasparov made an appearance, even making the first move in some of the top boards! There were a variety of tournament sections, based on age and rating band. These were the final winners from the Championship (open) section in High School, Junior High, Elementary, Primary and K-1. For complete results, please visit https://www.gnyscc.com/results.html. 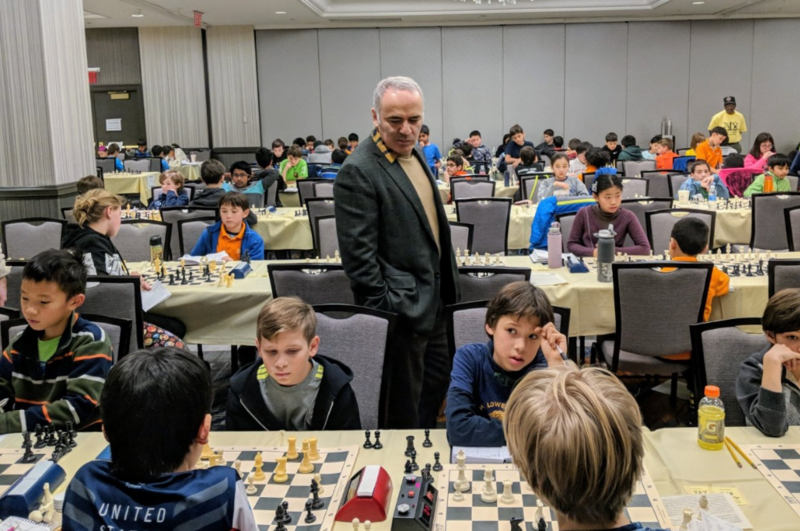 This entry was posted in news and tagged 2018 Greater NY Chess Championships. Bookmark the permalink. Both comments and trackbacks are currently closed.